As from 5 April 2010, Schengen visas will be applied electronically. The new form is linked with the entry into force of the Community Code on Visas and with the harmonisation of processing of applications. The Baltic Sea Action Summit to be held in Helsinki on 10 February is no ordinary summit. This gathering is made unique by its participants: leaders representing governments, the business community, NGOs and philanthropy. “This promises to be a fine and productive summit,” Jari Luoto, Ambassador for Baltic Sea Issues at the Ministry for Foreign Affairs, said on Thursday at the press conference organised to provide background information about the summit. “Spain takes on the Presidency of the Council of the European Union on 1 January 2010, a strategic moment for Europe.” The wording of the opening sentence of the Spanish presidency programme is much the same as the opening sentence of other member states’ presidency programmes. It is customary to start that way, with slight variations on the theme. The importance of the moment is always underscored. On 5 November 2009, the Government granted consent for Nord Stream AG’s plan to construct an offshore natural gas pipeline system that would traverse the Baltic Sea. Nord Stream will act as the operator of the natural gas pipeline system, which involves two parallel pipelines. Over the years Martti Ahtisaari has brought peace to conflicts in Africa, Asia and Europe. Now, the former Finnish president's virtue and toil are to be rewarded with the world's most celebrated prize. In early October he was also awarded the UNESCO Peace Prize. 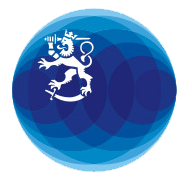 The 2008 Millennium Technology Prize was presented to Professor Robert Langer today in Helsinki for developing innovative biomaterials for controlled drug release. The world’s largest technology prize is awarded by Technology Academy Finland for a technological innovation that significantly improves quality of human life and promotes sustainable development. Showing 11 - 16 of 16 results.